Quick…what’s a caliber and firearm platform combo that has a cult-like following? That’s right…I’m talking about the 10mm Automatic. The 1911 and the 10mm Automatic are good bedfellows and have been for some time. Both the 1911 and the 10mm Auto cartridge has some rabid fans, and for a good reason. The 1911 has been around forever, and most pistol calibers have found some kind of 1911 platform to chamber themselves. Today we’ll be going over our favorite 10mm 1911s. The 10mm is one of the most potent modern defensive cartridges designed for use in an automatic pistol. It offers higher capacity than most high powered rounds, but does remain controllable and offers a versatile selection of loads. Connecting the 1911 and the 10mm round isn’t hard to do. Jeff Cooper, a Marine Colonel, and legendary firearms instructor was a huge proponent of both. He loved the 1911 platform and had a hand in designing the 10mm round. Jeff envisioned the round in a different platform, but I don’t think he’d frown at a 1911 in the 10mm Auto. 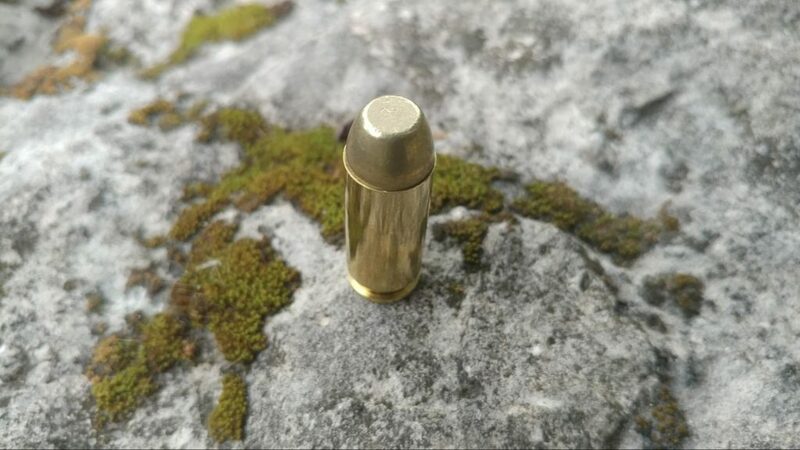 The 10mm has been rising in popularity after spending some time as a very niche round. We see more and more companies accept the round and chamber their platforms in it, Glock has had the G20 for years, SIG chambered the P220 in 10mm, and Springfield has teased an XD in 10mm as well. This is a welcome surprise for a round that up until a few years away was quite niche and for serious 10mm enthusiasts only. The 10mm was like your favorite rock star. It lived fast and hard and died young. Well almost died. The 10mm became famous after the FBI adopted it. The FBI used the cartridge for a few years and then decided some agents who were more paper pusher than gunfighter couldn’t handle it. First, they neutered the round by lightening the load. This became known as the 10mm FBI Load. Realizing the fact, there was a lot of case capacity left Smith and Wesson decided to trim the case to make the round smaller. This resulted in the 40 S&W, affectionately known as the 40 Short and Weak. After the 40 S&W was born, the 10mm was on its last legs. Then, seemingly out of nowhere new life was breathed into the round. But What About the 1911? The 1911 is, of course, a creation of John Moses Browning. His original gun was chambered in the 45 ACP, but things have changed since then. The 1911 served as the United State’s sidearm of choice from 1911 until 1985. After the Beretta M9 replaced the M1911 the gun itself continued to serve in Special Units throughout the military. Since then the 1911 has gone on to serve in a variety of police units and is a favorite of the civilian market. The gun features a fantastic grip angle, a crisp trigger, with a beautiful reset. The weapon is quite thin, and its ergonomics are lovely. The love of the 1911 has driven the market to adopt the gun into a variety of calibers, sizes, and into a multitude of functions. It’s no surprise the round has found its way into a variety of different 1911s across the industry. Today we are going to talk 10mms, and the array of 1911s you can choose in 10mm. I wanted to limit this list to more or less factory guns. Nothing special edition, or from custom shops that often have massive backlogs. So these are my favorite 1911s in 10mm. The Colt Delta Elite was not only the first 10mm 1911 but the second gun ever chambered in the round behind the Bren Ten. 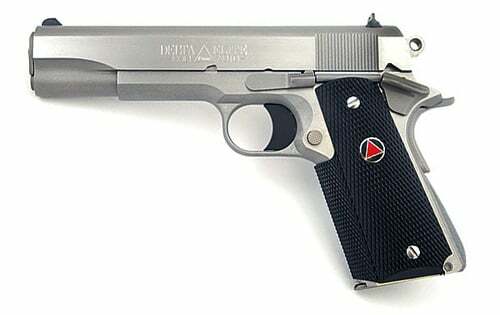 The Colt Delta Elite was initially introduced in 1987 and is a series 80 configuration. The weapon was introduced again recently, followed by a Delta Elite with a rail. The Colt Delta Elite had some teething issues when it was first introduced, and there were some issues with cracked slides due to the powerful 10mm Auto. The Colt Delta Elite is a single stack gun that holds eight rounds and features all the standard 1911 controls and features. An interesting note is that the original rocked a Commander style hammer. Being an actual Colt 1911 ratchets up the cool factor, but when you consider the fact the gun is in 10mm it only gets better. Colt Delta Elites are immediately identifiable by the grips. These polymer wraps around grips feature a unique red triangle inside a circle placed in the middle of the grips. These grips are one of the unique and identifiable features of the Colt Delta Elite. As a Colt 1911, you can expect a flawless stainless steel finish or a rich blued finish. The new Colt Delta Elite feature Novak White Dot sights, skeletonized triggers, an extended thumb safety, and an upswept beavertail. Modern finishes include stainless and two-tone. The two-tone is exceptionally good looking with those famous Delta Elite grips. You really can’t beat a classic, although many companies are indeed trying to. If you can’t beat the classics why not go the complete opposite direction? Like for example, make the most modern 1911 possible and chamber it in 10mm. That’s what Dan Wesson has decided to do with the Elite Series Fury. What’s the most modern 1911 look like? Well with the Elite Series Fury starts the process of modernization with the addition of a Trijicon RMR miniature red dot sight. With a little training, a shooter using a red dot sight can shoot faster, more accurately, and at longer ranges. We reviewed the RMR Type 2 on its own and loved it, you can read about that in our 4 Best Pistol Red Dot Sights article. The short version though – it is awesome. The Fury goes on to add suppressor height sights to co-witness with the iron sights and of course use with a suppressor. The barrel is threaded, so adding a can isn’t tricky. The gun also has a Picatinny rail so adding a light or laser is a natural choice. The Fury also features an ambidextrous safety, an extended beavertail, and front and rear grip serrations. The gun rocks a flat K style trigger that uses the super short-reset Elite Series trigger job. Now to sweeten the pot the Elite Series Fury is a double stack gun that gives the Fury 14 rounds of hard-hitting 10mm. This gun could be used for so many different tasks. It’s great for home defense, especially when it’s wearing a can. For handguns with an open class the Fury checks all the marks for a high-end custom gun. Duty applications are a possibility, but we are unlikely to see many police forces adopt such an expensive and substantial pistol. Lastly, this could be an excellent hunting or bear country pistol. The optic, the caliber, the trigger, and the ability to use a suppressor makes this a mighty powerful hunting and wilderness defense handgun. Speaking of hunting handguns the 10mm is an excellent caliber for medium game hunting. Want to kill deer? Pigs? Coyotes? Well, the 10mm can do it. The RI Hunter is a big gun, more significant than most in fact. 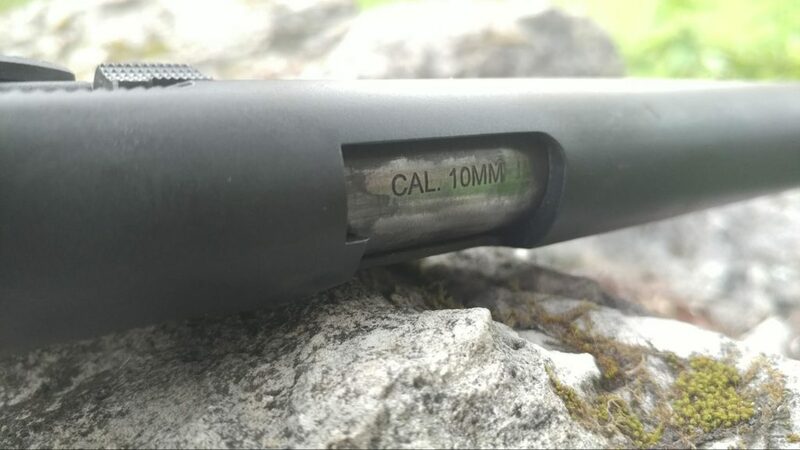 The RI Hunter 10mm features a 6-inch barrel. The benefits of a longer barrel are numerous. First, there is a slight velocity gain from that extra inch, but it’s typically isolated to about 50 FPS. One real advantage is sight radius. The longer slide gives you a longer sight radius that allows you to shoot further and with more precision. The longer barrel also means more weight at the end of the barrel, which helps reduce muzzle rise. The R1 Hunter is all about accuracy and placement of precise shots, which is critical for a hunting pistol. A responsibility all hunters have is to be able to put down their animals quickly and painlessly. This means an accurate shot and the R1 Hunter is capable of that. The gun is wearing outstanding LPA fully adjustable match sights that allow some severe adjustments to be made to ensure precise shot placement. The gun itself has a stainless Match-Grade barrel to help in the accuracy a little more. The trigger is an adjustable design that allows you to tune the trigger to your liking. The finish is a robust PVD DLC that’s made to protect the gun in the harshest environments. The front and rear serrations make controlling the slide easy, especially in cold climates and when you are wearing gloves. The R1 Hunter 10mm is a purpose built gun that’s perfect for hunting, in a caliber that’s a great game getter. The Rock Ultra FS HC 10mm is a jumble of a name but is one helluva gun. It’s one of my favorite 10mm 1911s. Weapons like the Fury Series are great, but let’s face it 4k is a lot of money. Is the gun worth it? Sure, it’s an excellent gun. Do I need all it offers? Probably not. 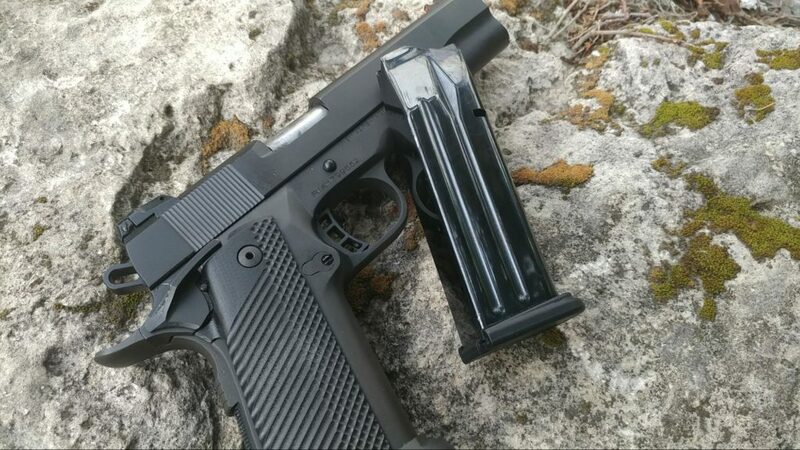 If I want a double stack 1911 that I can afford then the Rock Ultra FS HC 10MM is perfect. The MSRP is $798, but you can find them for around 650ish in gun stores and online. This model is capable of carrying 16 rounds of 10mm Automatic. I’ve yet to encounter a problem where I need that much firepower, but man I like having it. Who knows when I may run across a group of ninja bears. The Rock Ultra FS HC has an LPA adjustable rear sight with a high visibility fiber optic front sight. The gun is exceptionally accurate, and the lovely trigger combined with the adjustable and high viz sights make it easy to get on target and stay on target. The gun comes stock with an extended beavertail, an ambidextrous safety, and a flared magwell. The gun is big, and you have to expect that from a 10mm doublestack, so small hands may not be big fans of this gun. Shooting it is a blast, and since it comes in at a hefty 2.9 pounds unloaded the recoil isn’t bad at all. At the price, it’s hard to beat. What’s your thought on the RIA? 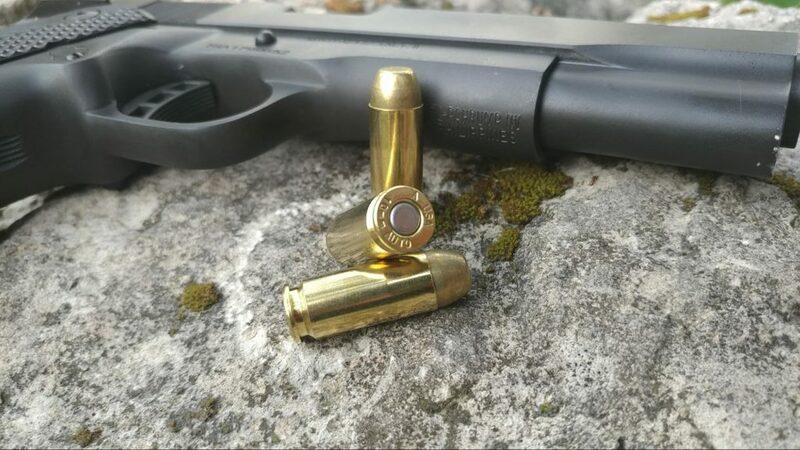 The 10mm was made to be a defensive round. It’s a powerful round, and it was designed from the ground up to be a gunfighter’s defensive cartridge. The firearms on this list have mostly been a bit big for concealed carry. The Rock Ultra MS 10mm is a more compact, single stack platform that features a 4.25-inch barrel, and a single stack magazine with an 8 round capacity. Fully loaded it weighs 2.73 pounds, so it’s not superbly lightweight. It is quite thin and svelte for IWB carry. The gun has also been smoothed out, meaning the sharp corners have been trimmed off it for more comfortable carry and a snag-free draw. As a concealed carry gun it’s much more likely to catch a snag. The gun does feature an adjustable rear sight, and a high viz front sight. The safeties are ambidextrous, and the trigger has an adjustable over-travel stop on the trigger. The gun has a great trigger and is easy to handle. 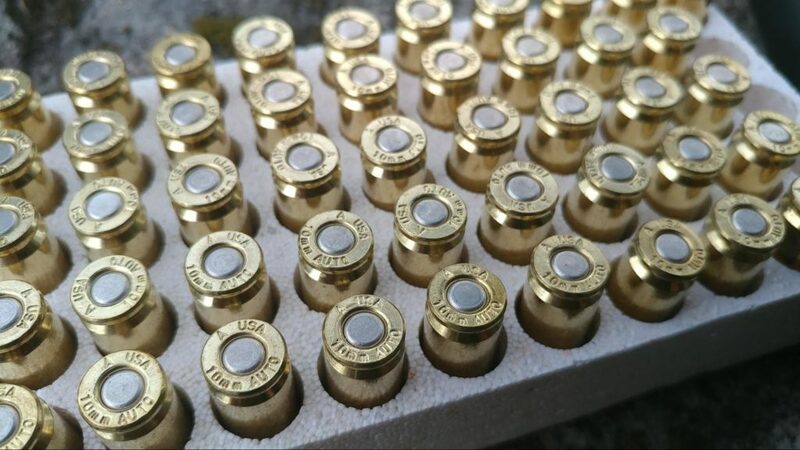 10mm is a stout cartridge, especially with full power defensive loads. If you go with a 10mm for concealed carry be ready to train with it. It’s much less forgiving than any 9mm. My editor won’t let me talk about pistols in 10mm without mentioning his favorite, the Dan Wesson Bruin – specifically in burnt bronze. I have to admit, it is one good looking 1911. 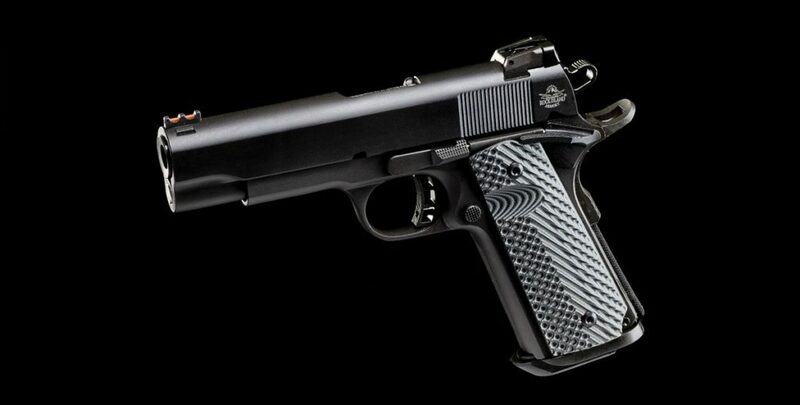 It is also manufactured to perfection, but that’s what you should expect from a Dan Wesson 1911. Sporting modern features like an adjustable tritium rear sight, fiber-optic front sight, skeletonized hammer, match grade trigger, and a 6″ barrel – this gun might look like a safe queen, but it’s built to work. And – it comes in burnt bronze, a criminally underused color. The 10mm cartridge is severely underrated and one of the best compromises between power, size, and controllability. The 1911 is a timeless platform that has seemingly evolved year after year into something new. Combining the two makes sense. What about you folks? What’s your pick for a 1911 in 10mm? Better yet what’s the 10mm of your dreams? Let us know in the comments! Want our favorite picks of other caliber firearms? Check out Editor’s Picks. 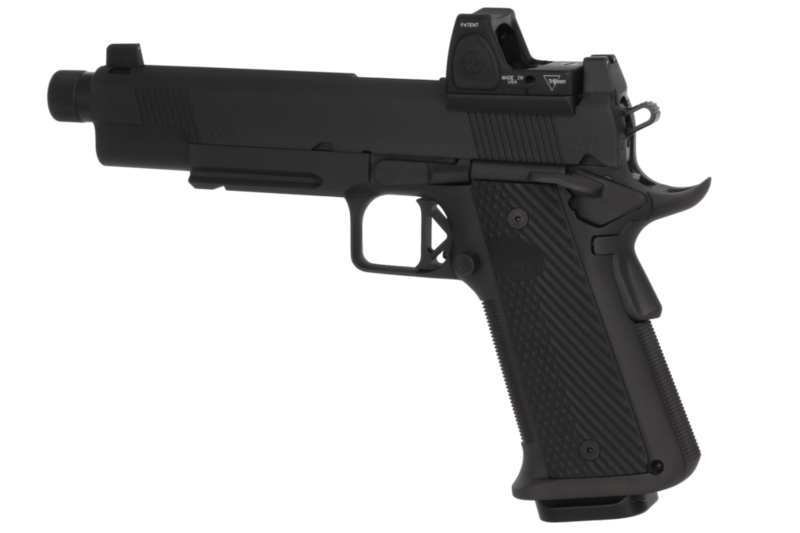 What about the Sig 1911 10mm Tacops with an external extractor and supported chamber? Outstanding value and operates flawless with various 10mm rounds. I’ve had the 10 mm since 1989 when I bought my Colt Delta Elite, Love the round and the 1911. Ammo was hard to get back then so I reloaded using a 175 gr cast bullet originally for the 38-40. 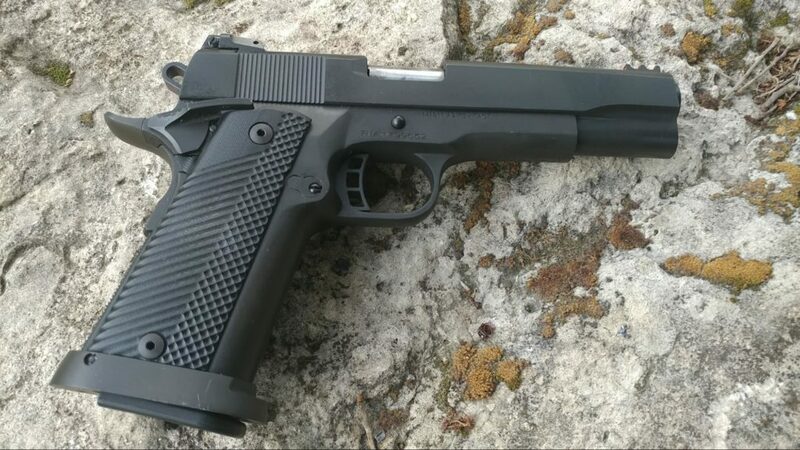 Purchased the RIA 1911 Ultra FS TAC 5″, loaded with real loads. It talks back, but one shot, one kill. Sig p220 but I don’t see a lot of sig here ever.